Click here for the latest AirServer User Guide for your NUC! 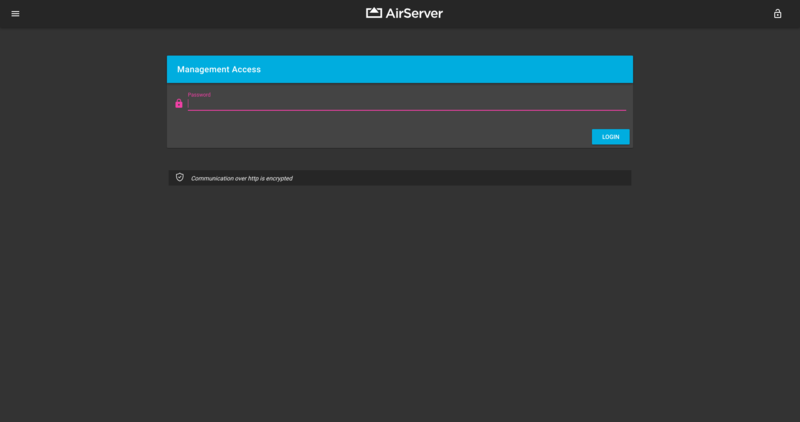 With the latest AirServer update, you can now manage your AirServer remotely! 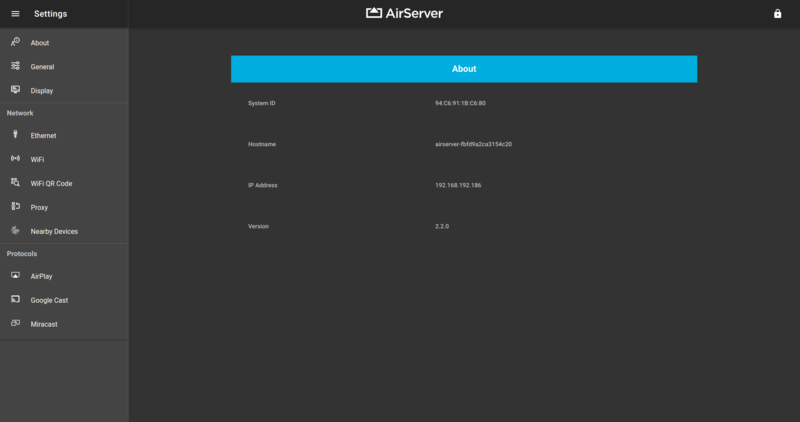 Configure a password in the AirServer setup menus, find your AirServer’s IP in the “About” section, then point your web browser to the AirServer IP to manage your AirServer settings using the new web management interface. 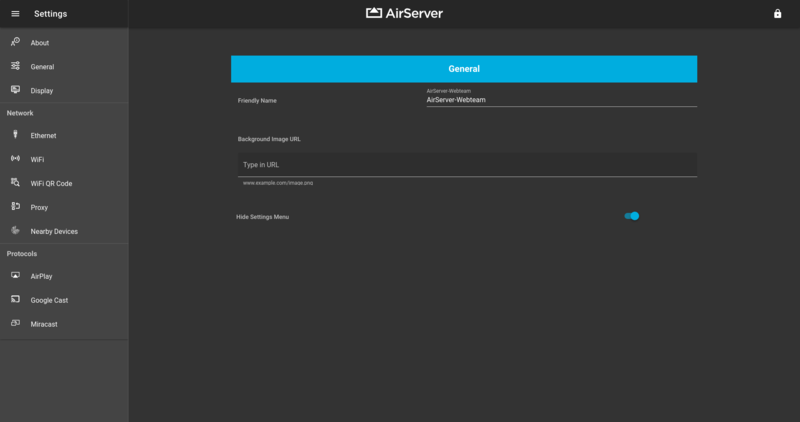 Added the ability to customize your AirServer unit’s background image and added a “Hide Settings Menu” option that prevents the AirServer settings from being changed except by authorized users in the web interface. 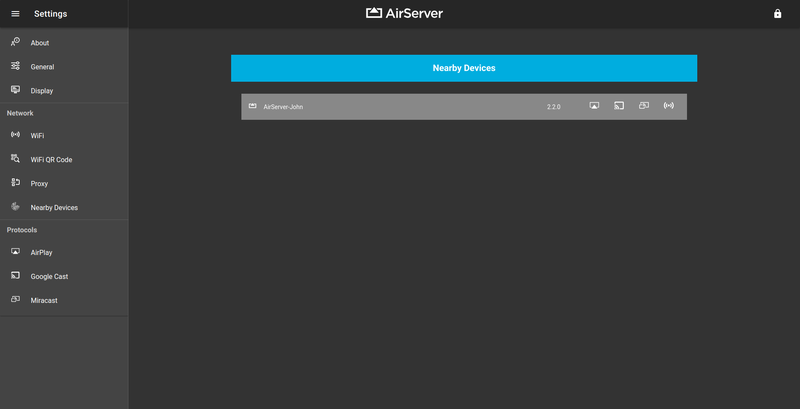 Use the “Nearby Devices” tab in the AirServer’s web management settings page to manage other AirServer devices that have web management enabled.